The European Commission has given up on plans to raise the EU’s 2030 carbon emissions target — and critics blame the German government for ‘torpedoing’ the move. It comes as Germany is refusing to clarify its stance on proposals by other EU states to phase out subsidies for coal power plants and force them to meet tougher pollution rules. That EU posturing is the latest in a series of actions taken by Berlin to stifle higher climate ambition where it threatens key industries, including pushing for weaker car emission standards and renewable energy targets. The widely-reported fight for the forest may be the German government’s most visible move to defend fossil fuels, but behind the scenes the it has quietly been taking a number of positions at odds with the country’s Energiewende-inspired green rhetoric. Earlier this year the EU was looking to increase its renewable energy and energy efficiency targets in light of the Paris Agreement, and Germany used its substantial clout to weaken the end result. As much of western and northern Europe called for a 35% target for renewables by 2030, Germany (alongside the UK) backed a much-weaker 30% goal — which led to a compromise of 32%. Then, as the EU climate commissioner tried to formally raise the body’s carbon emission targets to reflect its higher RES and efficiency aims, the Germans once again tried – and in this case succeeded – to derail the push for greater ambition. As the final protesters are removed from Germany’s 1,200-year-old Hambach forest, RWE boss Martin Schmitz has declared the entire area will be cleared for his company’s coal mine. That next day energy minister Thomas Bareiß came out in support of the controversial project. “It should go ahead,” he said, citing concerns over security of supply without the coal. Environmental activists have occupied the ancient woodland for six years. The protest has grown in size and stature in recent months, but it is now being forcibly brought to an end by German police, sparking global outrage and questions over the move’s legality. 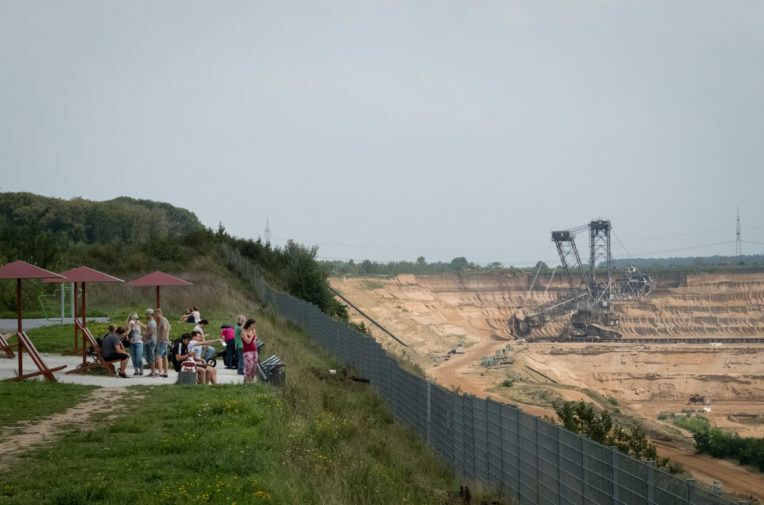 “What’s happening at Hambach Forest shows the true face of German climate politics,” leading Hambach activist Maja Rothe from Aktion Unterholz told Unearthed. 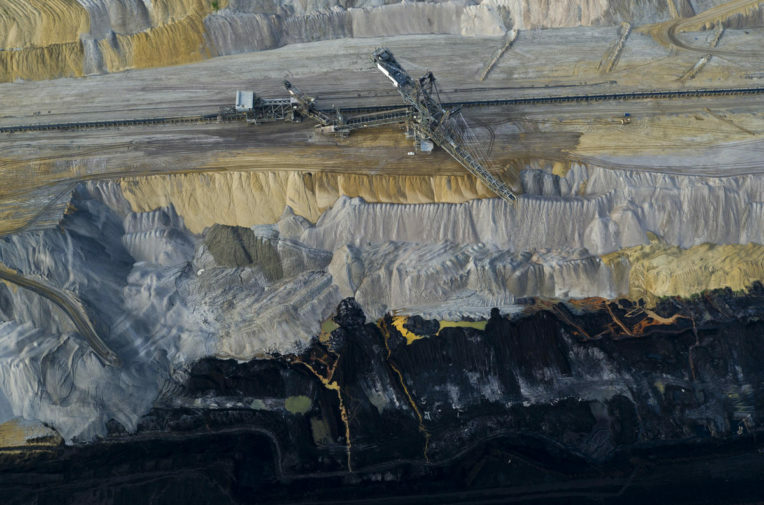 Hambach is the battlefield for the mounting climate conflict in Germany, a country that has for years lead the world in renewable energy but has failed to meaningfully phase out its use of coal, the dirtiest fossil fuel. “In Germany, three lignite units will go into ‘a strategic reserve’ this weekend,” Dave Jones, coal analyst at think-tank Sandbag, told Unearthed, referring to the policy that pays power stations for staying available as a back-up source. A clutch of EU countries – including the UK – are calling for these coal plants to meet the emission standards that other power stations are required to. The Germans are not part of that coalition, and refused to state their position when contacted by Unearthed. That’s not the only coal subsidy that the EU has allowed. The capacity mechanism, which like the strategic reserve rewards power stations for being emergency back-up, has already handed out over €15 billion to coal plants across the EU, according to a Greenpeace analysis. Environmental groups (and Italy) argue they are often used to prolong the lives of environmentally destructive and financially unsustainable power plants — and justify building new ones, like Ostroleka C in Poland. A group of countries have proposed the introduction of emissions standards that would effectively make coal plants ineligible for the subsidy and yet Berlin’s position remains unclear. With France, Spain, Italy and the UK backing a 550g CO2/kWh standard for ‘capacity market’ recipients, Germany is the deciding vote. Last year the EU introduced a new set of power plant pollution rules called BREF — despite last minute opposition from the Germans. That was, in itself, a pretty shocking move, but Germany’s displeasure with BREF didn’t stop there. The government has yet to incorporate the rules into its national environmental standards, breaching its own law that requires such rules to be transposed within a year of publication. Concerns have even been raised as to whetherGermany’s coal commission, launched this summer to figure out how best to phase out coal power, has will take the BREF limits into account when recommending which plants should close and when. Fabian Huebner, policy officer at German NGO Climate Alliance, said: “The level of the pollutant limits is of great relevance for the coal commission currently negotiating the coal-phase out. The decision on a shutdown plan of coal power plants in Germany must go hand in hand with the new EU environmental limits for coal-fired power plants. Meanwhile RWE and a bunch of other German coal companies are suing to stop the BREF rules from taking effect. The EU is also currently deliberating new CO2 emission targets for cars, and Germany once again finds itself advocating for a weaker climate goal than its western and northern neighbours. At a high-level meeting last month, a group of up to 17 countries – including the UK – threw their weight behind a CO2 reduction target of 40% by 2030, much higher than what had been proposed by the European Commission (30%) but more conservative than the target backed by the European Parliament (45%). Last week the German government decided it would back the weak 30% target for fear that any higher ambition could impact the competitiveness of European carmakers, who have largely sung from the same hymn sheet. In a statement Julia Poliscanova from NGO Transport & Environment said: “Germany’s stance on car CO2 standards puts at risk its own climate goals for 2030, necessitating instead harsh measures such as curbing car use, demanding more cuts from agriculture or accepting high fines for non-compliance.